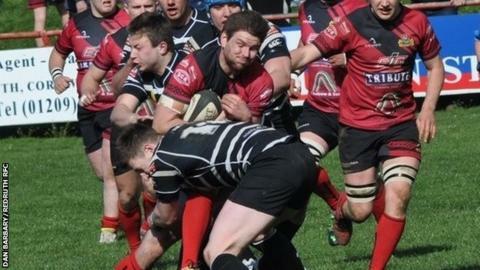 Redruth head coach Steve Larkins says his side failed to get the basics right as they were beaten 31-7 by Chinnor. The result was the club's second-worst at home this season as they conceded five tries, with Sam Parsons getting the Reds' solitary score near the end. Chinnor scored three tries in a 16-minute period during the first half. "We didn't really do the basics right in that first half, we were making the tackles, we just couldn't make them stick," Larkins told BBC Cornwall. "We dropped too many balls and gave them some free ball to run back at us and that was the disappointing thing really. "All season we've prided ourselves on doing the basic things right and today we struggled," he added.